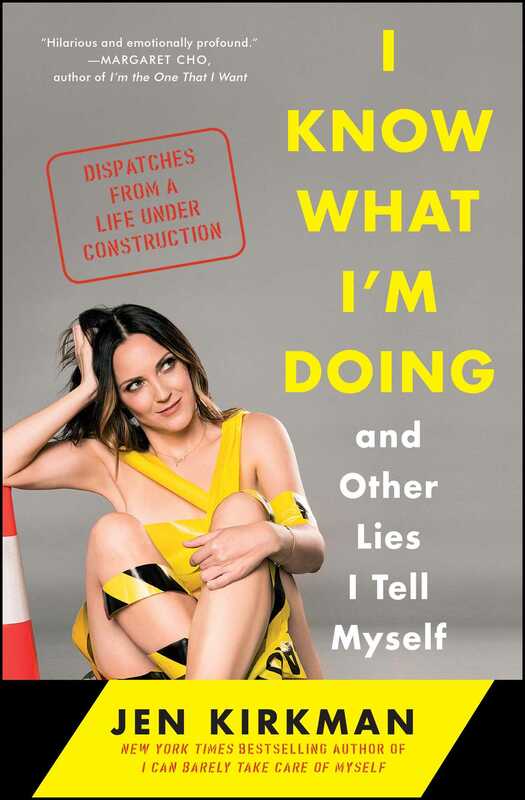 Jen Kirkman is a world-touring stand-up comedian and the author of the New York Times bestseller I Can Barely Take Care of Myself: Tales of a Happy Life Without Kids and I Know What I’m Doing—And Other Lies I Tell Myself: Dispatches from a Life Under Construction. Her Netflix original comedy special I'm Gonna Die Alone and I Feel Fine streams worldwide, and she has released two comedy albums, Self Help and Hail to the Freaks (which hit #13 on the Billboard charts). She was a longtime writer and panelist on the E! Network’s Chelsea Lately and the narrator of many episodes in the award-winning TV show Drunk History on Comedy Central. "This book is full of hilarious, candid, and sometimes gut-wrenching stories. There wasn't a single moment that I wasn't completely invested in what happened next. She peels back the curtain and reveals every emotion we all have to go through in life, but with such grace that you almost want to apologize for laughing so much—until you realize that's exactly what she wants you to do." -- Sarah Colonna, bestselling author of Life As I Blow It and Has Anyone Seen My Pants?